Godfrey Phillips, the flagship company of the K K Modi Group plans to rope in local kirana and grocery stores by appointing them as franchisees for its Twenty Four Seven Convenience Stores. Twenty Four Seven is a subsidiary floated under Godrey Phillips. Twenty Four Seven would adopt franchisees to expand from the current 40 to 2,000 stores in the next five years. 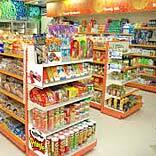 Currently, the stores operate in the Delhi-NCR region. Samir Modi, Executive Director, Godrey Phillips, and President of Twenty Four Seven, said, “We want to become partners and convert as many local mom-and-pop stores as possible to our franchise, to enable them to fight modern retail players”.